I’ve been to Amsterdam a few times already, as my uncle lives in one of the suburbs, but have only ever started learning more about the city and the dutch culture in the past few years. It was exactly two years ago that I first visited the Amsterdam area without my parents and did some sightseeing on my own and I’d say that by now I at least know two hands full of fun things to do here. Of course I still haven’t seen it all and there’s only so many things you can do when you come here for a few days but I thought I’d still share some basic to-dos with you in case you’re planning on visiting Amsterdam yourself some time soon. To make sure everyone could try these fun things - even if you only visit Amsterdam for 24 or 48 hours - I only picked the most budget friendly and easy must-dos. So here are 5 fun and budget friendly things to do in Amsterdam! This definitely is the most important must-do as the Netherlands is known for great cheese. Also it’s a very easy thing to do as there’s one cheese shop after the other in the streets of Amsterdam. So just pay one of your choice a visit and enjoy a variety of cheese. You can always try as much cheese as you want in the shops, so you don’t necessarily have to buy a big cheese loaf. And of course you can always just by a slice of cheese or smaller sizes in general. Whatever nice you go for dutch cheese definitely makes a great souvenir for your friends and family or a delicious memento for yourself. Number three is a place I myself only recently visited. 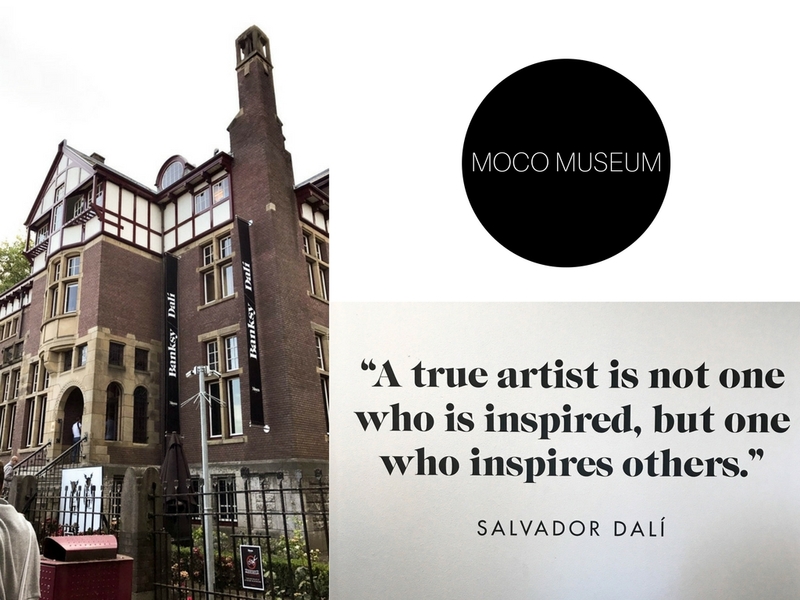 I went to Moco museum on my latest trip to Amsterdam with my friends to see the Banksy exhibition - which I btw loved - and also had a look at Salvador Dalí’s pieces. 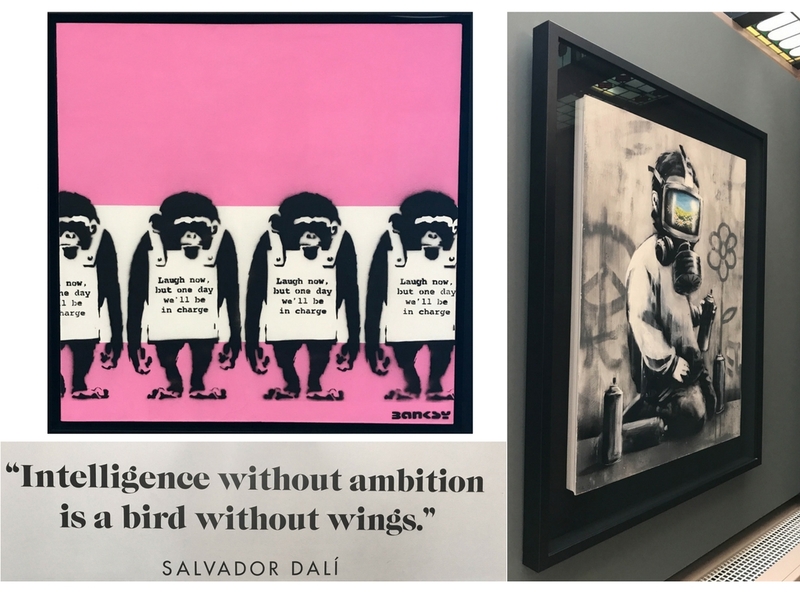 I read about the museum on the internet prior to my trip and was keen on going there because it said it was the perfect museum for young people as it oftentimes features more modern artists - like Banksy. Apart from the paintings I loved that they also put quotes on the walls (I am a sucker for inspirational quotes haha). Btw this is not sponsored by the museum, I just genuinely enjoyed my visit and had to include it in this post. Also the entry is only 12,50 euros and if you bring your student card only 10 euros, so it’s a really great deal, too. And if you still haven’t gotten enough of art after your visit, you can easily go to Rijksmuseum (and the iconic “Iamsterdam“ sign) afterwards, as they’re only 2 minutes apart. Amsterdam is full of beautiful and instagramable canals, so instead of doing a sightseeing tour by bus you can also go around the city by boat. Tickets for canal tours are between 13 and 20 euros and in my opinion are worth every cent. You learn a lot about the city’s history while having an overview of the beautiful dutch houses. Did you for example know that the dutch mostly have to use their windows to get new furniture into their place as the doors are too narrow? No? Well, that’s what you would’ve found out on a boat tour for sure. Check the web to find out which tour suits your interests best. Now this one’s a big recommendation for everyone wanting to experience the city on their own (without a guided bus tour etc.) and for those who want to see as much as possible in a short period of time. This is another thing I only did on my most recent trip to Amsterdam and now I am honestly wondering why I have never done it before because it was so much fun! It’s such an easy, fun and inexpensive way to get around the city; All the quarters and sights can easily be reached by bike and it’s only about 10 euros for 24 hours. Of course you have to pay attention to the dutch street signs and crazy traffic here and there but it’s such a great experience. Plus you can always stop and take nice photos along the way (which we did a LOT haha). Lastly I want to include some food, as you might get hungry from all the bike riding. 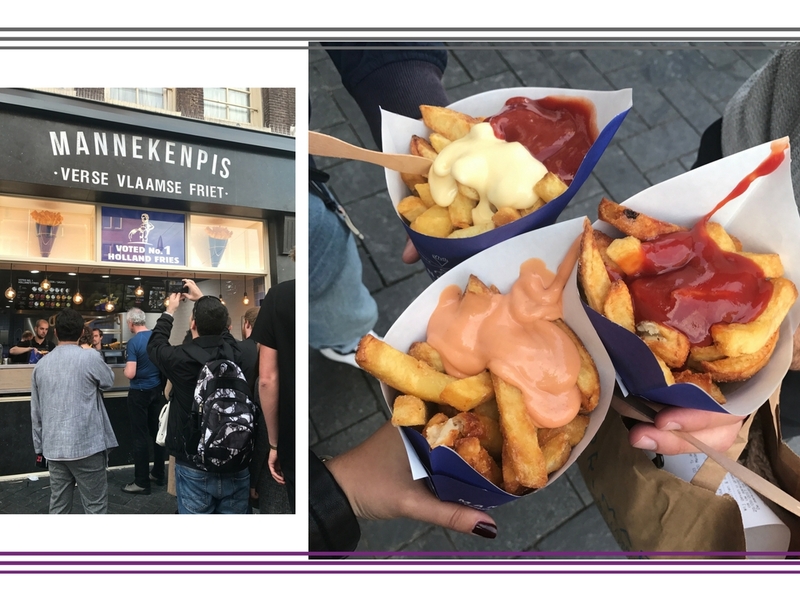 Manneken pis fries are known to be the best fries in whole Amsterdam and I must say they did not disappoint me! Only negative thing about the shop is that you might have to wait in line a bit until you get served, as it’s mostly crowded with tourists - especially around noon and in the evening, when sightseeing and shopping’s over and there are no tables or chairs, as you can see in the photo. 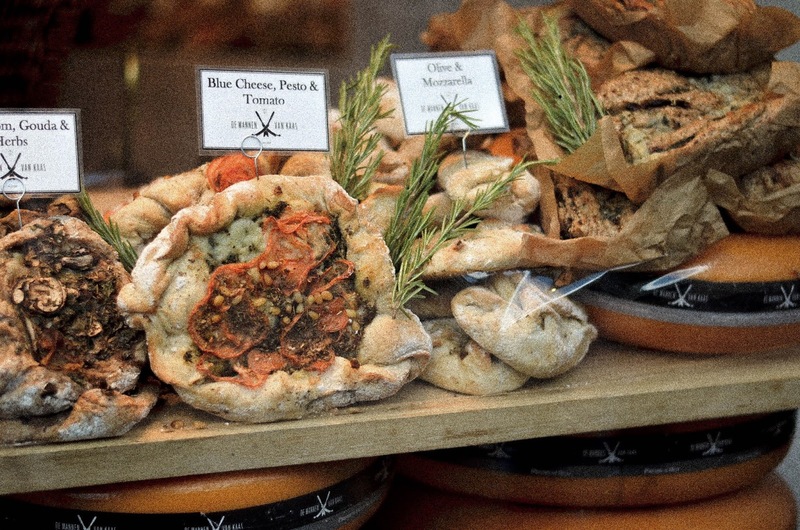 But that shouldn’t be a problem if you’re just looking for a quick snack in between shopping or sightseeing. Also right across from Manneken pis there’s a great pancake place called “Pancakes Amsterdam“ where you can sit down and enjoy dutch pancakes, so if the fries weren't enough for you, you might as well just head over there afterwards. Disclaimer: This is a non-sponsored with personal tips and favorites.